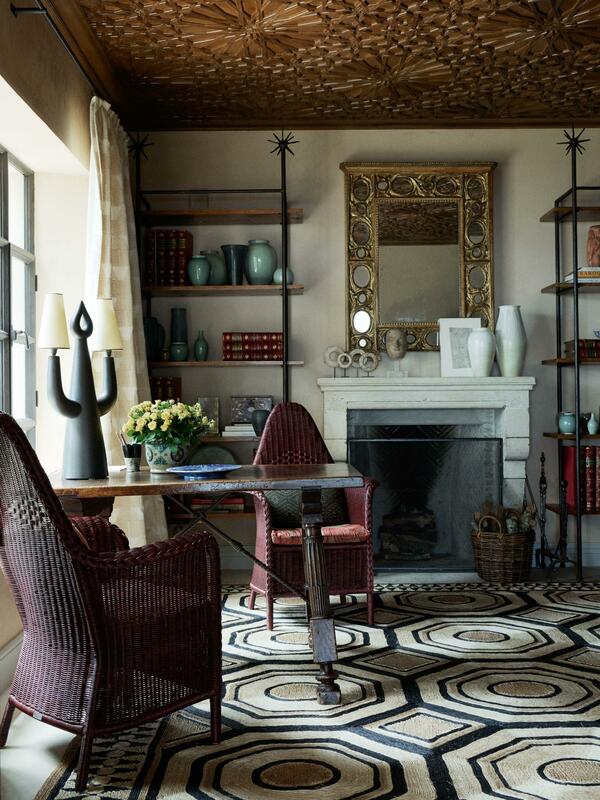 Much admired designer, Michael Smith, has worked his magic yet again! 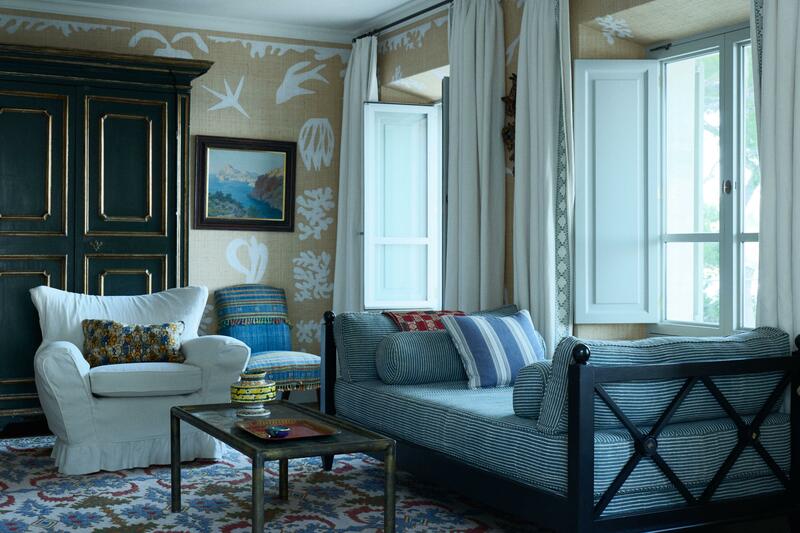 This time on the far flung and exquisite island of Mallorca. 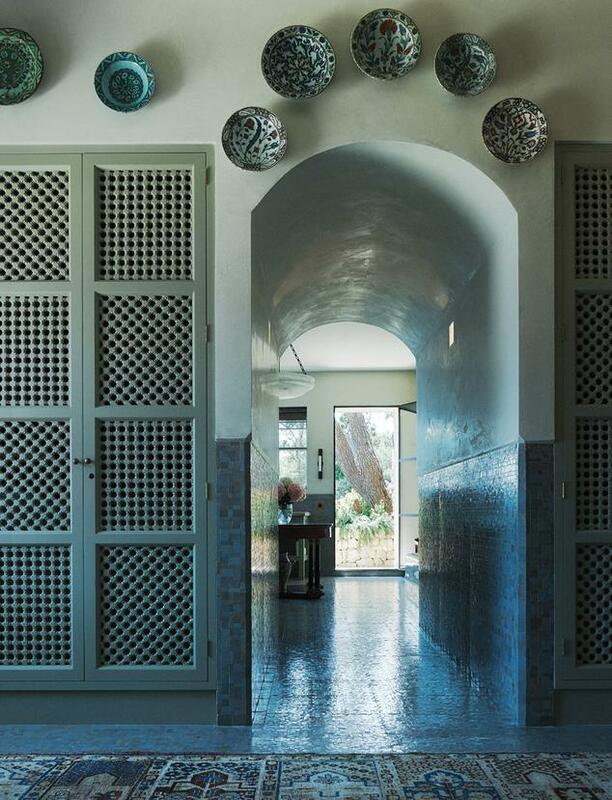 Named La Posada, the previous version of the 15 year old house was “boxy” and needed “detail and texture” according to Smith. 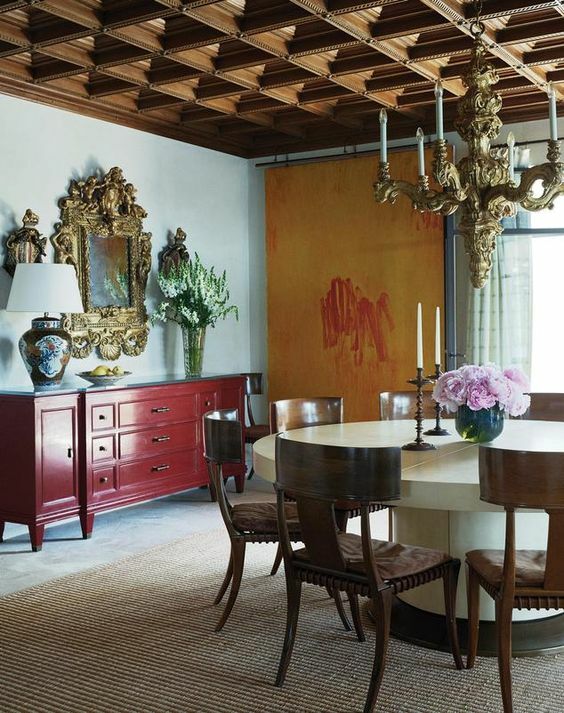 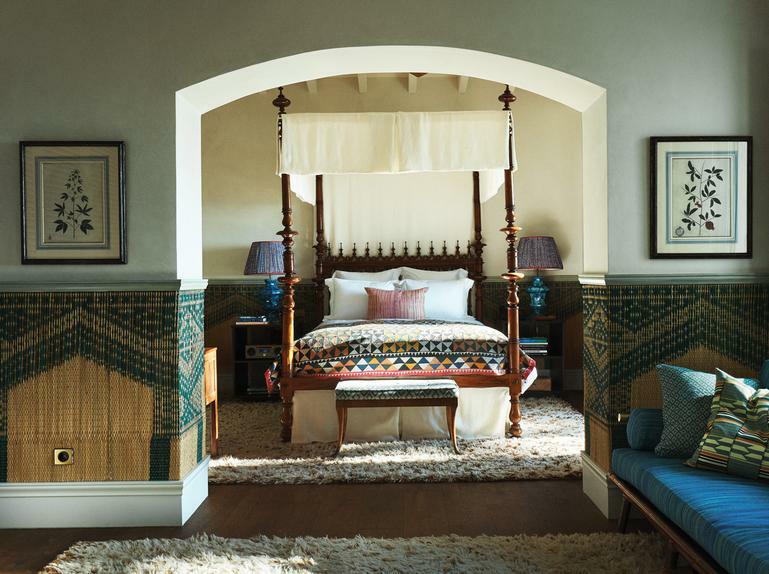 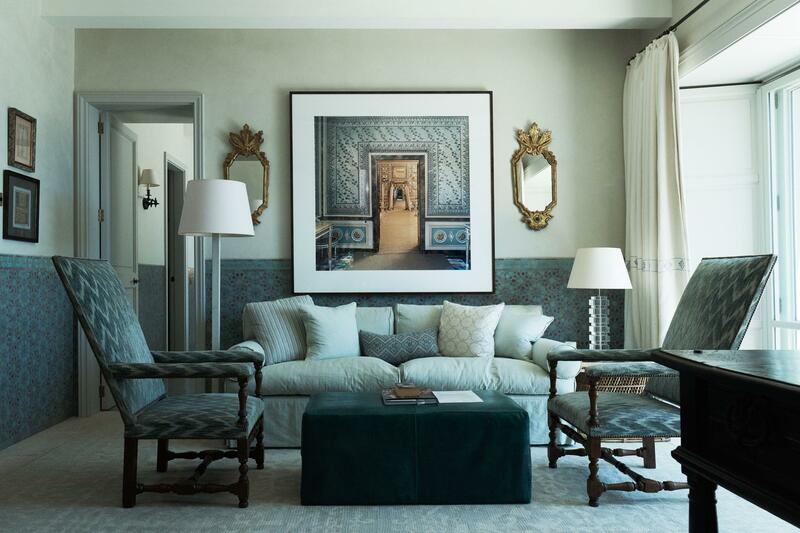 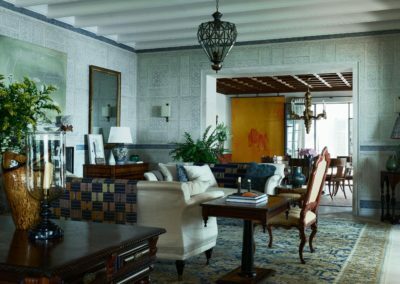 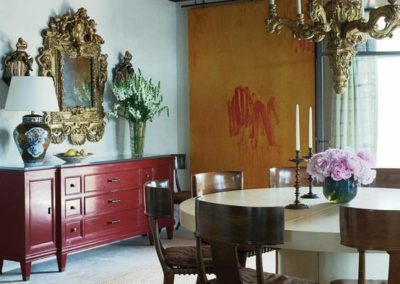 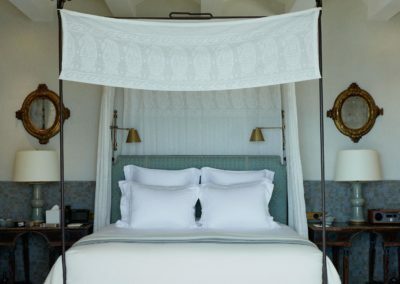 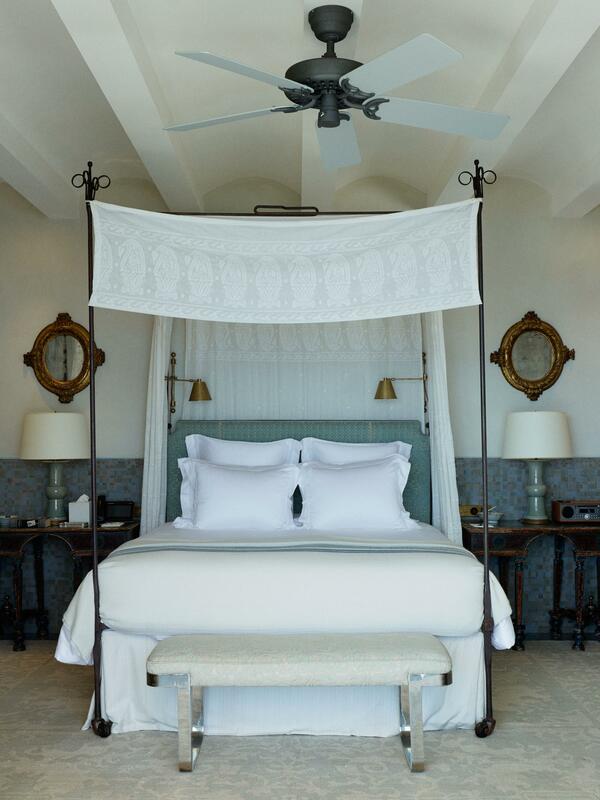 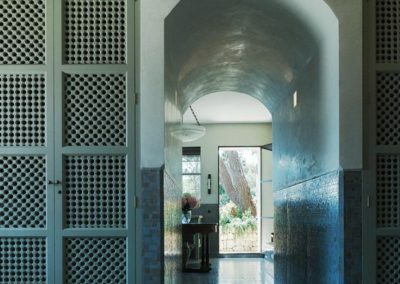 He succeeded masterfully by giving new life to the villa by infusing the rooms with a “Hispanico and Moroccan” feel and the addition of Smith’s love of the English style. 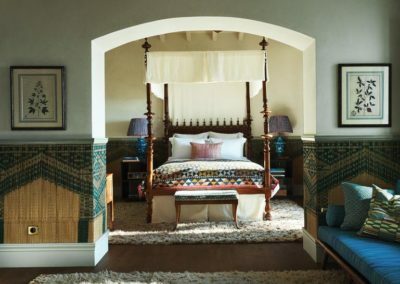 To achieve this the villas rooms are layered with an exotic and Mediterranean inspired mix of plastered and stenciled walls, inky blue and green zellige tiles, straw matting, printed cottons,textured velvets and ornately carved wood ceilings. 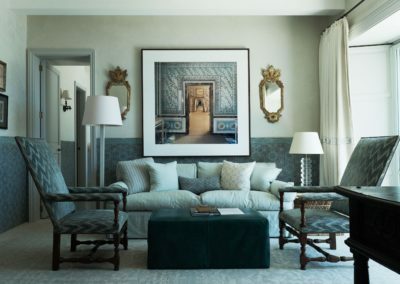 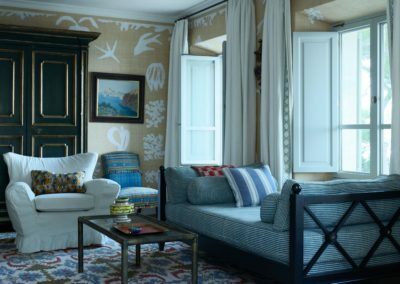 Surely taking inspiration from the Moroccan homes of Yves Saint Laurent and Pierre Berge, there is no doubt that they would feel right at home in Mr. Smiths latest triumph!